A magnificent view. The blues of water and sky are wonderful. Where is this, Gilly? Lovely composition, Gilly. 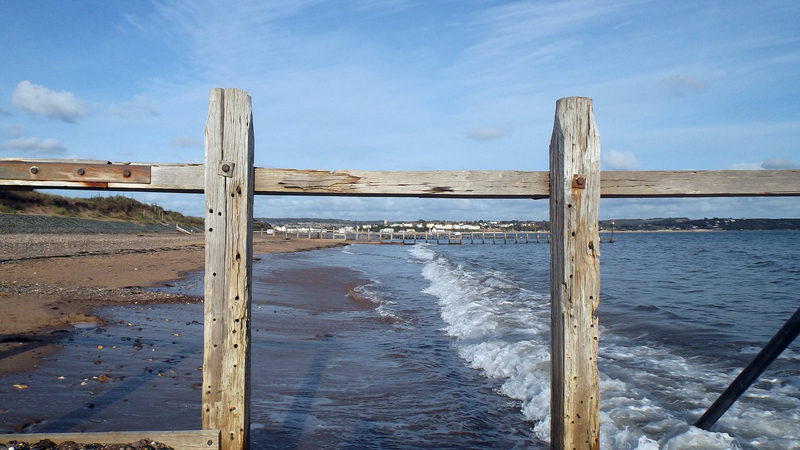 You’ve captured the quality of light and how it plays so differently against the boards, the shore, water and sky! It doesn’t need them 🙂 (words) Happy Wednesday! Pouring here, after pea soup fog. That was yesterday here, but today has been nice. I walked into town for necessities and then took the dogs for a stroll in the cemetery, Bampton Fair tomorrow, I’m very excited!